-all welding done for last MOT -new radiator -new swivel bearings, kingpins and seals replaced. -new disks, pads, and complete rebuild of brakes this month. -k&n air filter. -diff breathers. -black raptor 2” spring and shock lift. -modular steel wheels. -5 marching kumho road venture muds. -30mm wheel spacers. -transfer box guard. -rhino roof rack, with custom brackets, bolts in place of the original rails. -4 spot lights on roof rack. -2 LED spot lights on the front bumper. -rear work light. -tow bar, with ball and detachable recovery point for a shackle. 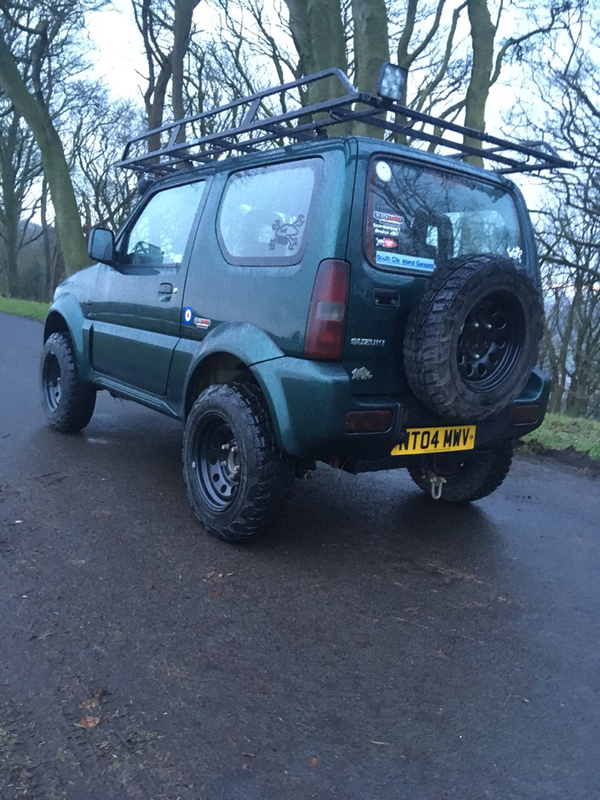 Comes with some spares, original Jimny wheels one with tyre, spare wheel cover, springs, and original roof rails. Just over 70,300 miles. MOT until November. 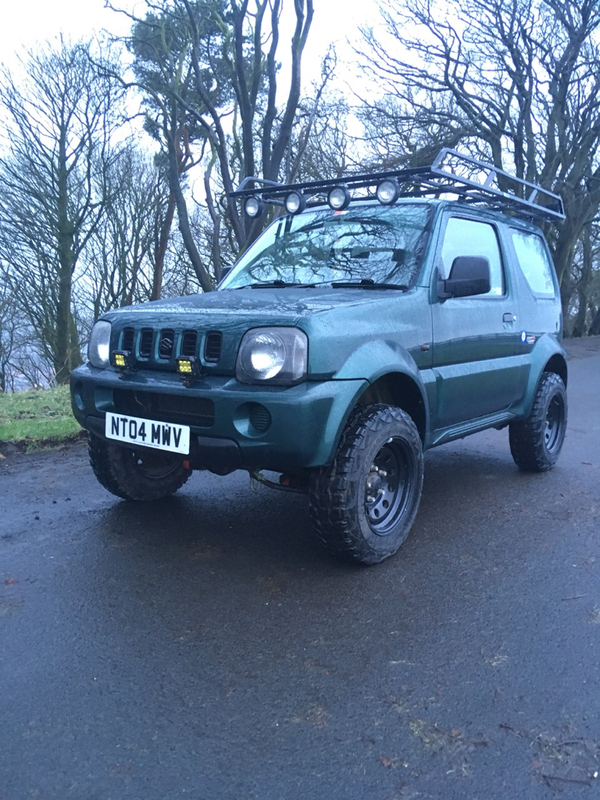 Good honest Jimny, usual age related scratches and minor dents from greenlaneing. £2200 ONO, any questions just ask, cheers Ed. Last edit: 13 Feb 2018 18:30 by Buttercup the zook. Hi can you let me know where about you are please? And if you have any further pictures. kenners wrote: Hi can you let me know where about you are please? And if you have any further pictures. I’m in Scarborough North Yorkshire, can send you over some more pictures tomorrow afternoon if that’s any good?